The NBA is full of talented players. From East to West (well, largely West), the league has some of the greatest athletes on Earth. That said, it can be hard for young talent to crack the ranks of the league’s elite. Some have production, but need to prove they can lead a winning team. Some of these young NBA veterans have pools of talent, but lack steady production. For others, it can be off-court or attitude issues. Whatever the reasons may be, there are plenty of young players sitting on the cusp of true NBA stardom. Five of those such players are sitting on true make-or-break seasons in 2018-19. Some are pushing for NBA superstardom and leadership roles on talented teams. Others find themselves in danger of falling out of favor with middle-of-the-pack franchises should things not turn around for them soon. 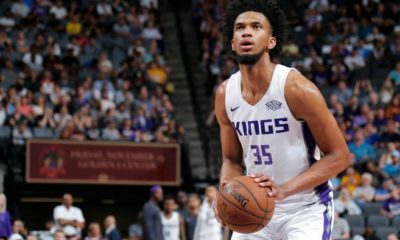 Whether the future holds All-NBA team honors or just trying to avoid the trade block, here are the five young talents with the most to prove in the NBA this season. CJ McCollum is a puzzling player. At 26, McCollum has shown flashes of being one of the best pure shooters and scorers in the entire league. He has averaged at least 20 points per game in each of the past three seasons. The 2016 Most Improved Player of the Year has also started for Portland on three straight playoff teams. Yet, the sixth year pro out of Lehigh took a step back in 2017. McCollum saw his shooting percentages drop across the board. Worse yet, he shot a lower percentage from the field and from three while attempting more shots from both areas. Free throw shooting was down from 91.2% to 83.6%. 83.6% is certainly above average in the NBA, yet is concerning when coupled with the other drops in shooting efficiency. The shooting drop-off is especially troubling when factoring in that scoring is McCollum’s only real high-level skill. Which, of course, is the most frustrating thing about McCollum’s game. The 26-year-old is not a great rebounder, defender, or passer from the shooting guard spot. Essentially, if McCollum is not shooting or scoring effectively, he is really not doing anything for his team at all. That has to change in 2018-19. McCollum does not have to become a superstar overnight, but he certainly has to improve somewhere. Whether it is becoming a better facilitator to take pressure off Damian Lillard or becoming a stronger defender in what is a rather average defensive backcourt, McCollum has to find a way to do more than just score. If he doesn’t, he could find himself wearing a new uniform before the end of the season arrives. Unlike McCollum, Jamal Murray has a lot to prove for all of the right reasons. Murray is the definite starting point for a Denver team talented enough to win the brutal Northwest Division. He has strong running mates in triple-double machine Nikola Jokic and two-way ace Gary Harris. He also has only missed one game over his first two NBA seasons. To top it all off, Murray showed tremendous individual growth in his first season as the full-time starter in 2017. The natural minutes increase that came with the starting role was kind to Murray’s production. With more of a natural role in the offense, Murray saw his production rise across the board. He shot significantly better from both the field and from long-range and scored a respectable 16.7 points per game. More importantly, Murray’s turnovers per game only went from 1.4 in 2017 to 2.1 in 2018. That type of ball security despite more responsibility and more minutes is something that cannot be overlooked for a young point guard. Murray does have a few areas of concern. The 3.4 assists per game the 6’4″ guard put up in his second season marked on the low end for starting point guards across the league. With so much talent around him, Murray needs to get better as a distributor if he is to take the next step in the league. The only other major concern for Murray would be the issue that derailed 2017. The Denver Nuggets have gotten significantly more talented since Murray was drafted. That said, Murray has to be sure to not get lost in the fray. The need for stronger facilitating plays into this potential trap for Murray. With additional scoring options in Denver, it may be hard for Murray to get a high volume of shot attempts each game. To truly be effective, Murray must be able to drop some dimes when he is not a featured scorer that night. If he can do that, there’s no telling how high he can rise in the league. Aaron Gordon is one of those frustrating NBA players that seems to be better in theory than he is in reality. At 6’9″ with solid ball skills and freakish athletic ability, one would think there would only be a handful of NBA players that can even guard Gordon. Of course, his 11.4 career points per game over four NBA seasons says otherwise. That isn’t to be too harsh on Gordon. The Arizona product did have his best NBA season in 2017, and it wasn’t particularly close. Season numbers of 17.6 points, 7.9 rebounds, and two made threes per game were the first consistent signs of Gordon finally blossoming as an NBA player. The two made threes per game were rather impressive, as he connected on a career-high 33.6% of his attempts. The continued growth of his three-point shot will be key to his success moving forward. Really, if the hype surrounding Gordon wasn’t so high, he might not even have made this list. 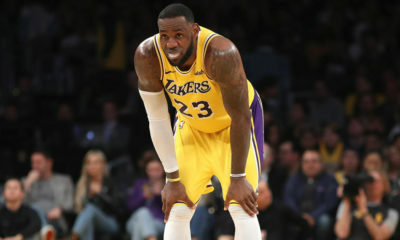 He has a new long-term extension (4-years, $84 million), new endorsements, and a new movie alongside Boston Celtics superstar Kyrie Irving. There have also been a handful of videos out this summer raving about the progress of Gordon’s development, including one featuring a pick-up game face-off between him and Kevin Durant of the Golden State Warriors. In short, Gordon is an uber-talented player that may be getting star talk a bit early. Gordon has arguably the least successful NBA career of any player on this list. He also has more current hype than at least three of the other players featured here. With such lofty praise and expectations, it could end very badly for Aaron Gordon in Orlando if things don’t turn out how the Magic seem to think they will. As teased in the talk regarding Jamal Murray, number two on the list is Minnesota Timberwolves’ forward Andrew Wiggins. Wiggins, a player that completely fell off once surrounded by top competition, finds himself in a similar position to both McCollum and Aaron Gordon. If he doesn’t find some answers to his problems soon, he is going to be playing somewhere else, or the Wolves will at least try to make this happen. Wiggins had his worst NBA season in 2017. 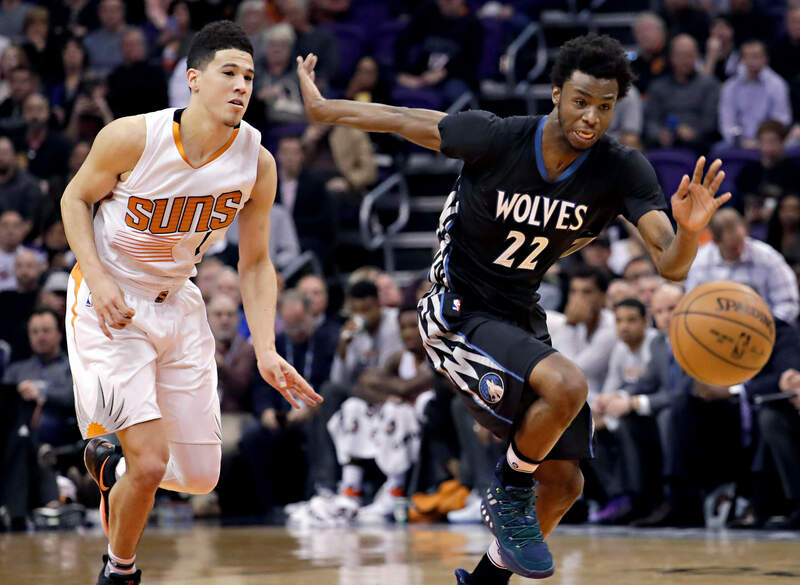 The timing could not have been worse, as Wiggins inked a massive extension with Minnesota right before the start of the 2017 season. Quite frankly, signing the long-term deal is probably the only thing that kept Wiggins in Minnesota, as the team likely did not want to abandon such a big investment one season in. Wiggins had his lowest shooting numbers since his rookie campaign in 2014 and saw his scoring plummet from 23.6 points per game in 2016 to 17.7 last year. 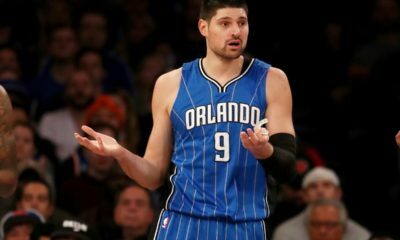 He remained an abysmal defensive player and was roped in with Karl-Anthony Towns in the numerous feuds with new team leader Jimmy Butler. Butler questioned both Wiggins’ effort level and overall desire to win, which is not something one would want to hear about a player who isn’t producing. Keep in mind that the aforementioned contract pays Wiggins more than top-level NBA stars. Wiggins has a higher annual salary than Kyrie Irving, Draymond Green and Klay Thompson, just to name a few. If the concerns around Wiggins’ game and attitude coupled with the insane salary he is being paid doesn’t warrant a “put up or shut up” season for the Kansas product, it’s hard to imagine what would. Devin Booker is number one on the list, but he isn’t facing the chopping block. In fact, it is quite the opposite. Booker could be a player to make multiple All-Star and All-NBA teams, even in a loaded Western Conference. Yes, Devin Booker is that talented. That said, most players that receive All-Star and All-NBA nods from the West do one thing Booker has not yet been able to do: win. That is not to blame the losing woes of the Phoenix Suns throughout Booker’s first three seasons on Booker. LeBron James himself might not have been able to get some of those Suns rosters to the postseason. Of course, things are a bit different in Phoenix now. First overall pick DeAndre Ayton, rookie swingman Mikal Bridges, and second-year athletic dynamo Josh Jackson place a talent level around Booker that he has not experienced in the NBA. It will still likely be a year or two before the team really takes flight, but that process should begin this season. That is, as long as Devin Booker decides he wants it too. Devin Booker is clearly the leader of the Phoenix Suns. The team placed great faith in the young guard’s bright future with a five-year, $158.3 million extension this summer. He is their superstar. Of course, as previously mentioned, superstars tend to lead winning teams. Booker will have new leadership responsibilities and be in more clutch scenarios at the end of games. He will also have to improve his defense. The defensive improvement is necessary not just because of Booker’s average effort on that end thus far, but because as the team’s unquestioned leader, he needs to set the tone for the effort and intensity that NBA defense needs to be played. That is not to say he needs to start locking opponents down, like Jimmy Butler. Simply put, he needs to try harder to play good defense. That’s all there really is to it. The Suns have been a horrendous defensive team the past few seasons, and that includes Booker. At 6’6″, the budding superstar certainly has the size to be at least a good defender. Over the next few years, the Suns could become one of the best teams in the entire NBA. The chances of that hang largely on if Booker can become one of the best players in the entire NBA. There is no questioning Booker’s talent, but a lot of guys at the NBA level are extremely talented basketball players. The hard part is winning, which is what Phoenix can do if Booker takes the next step.